I am a fan of Doogie Howser so I tuned in past the red carpet show to watch Neil Patrick Harris (NPH) host the 2015 Academy Awards. As usual, NPH lit up the stage at Dolby Theatre. 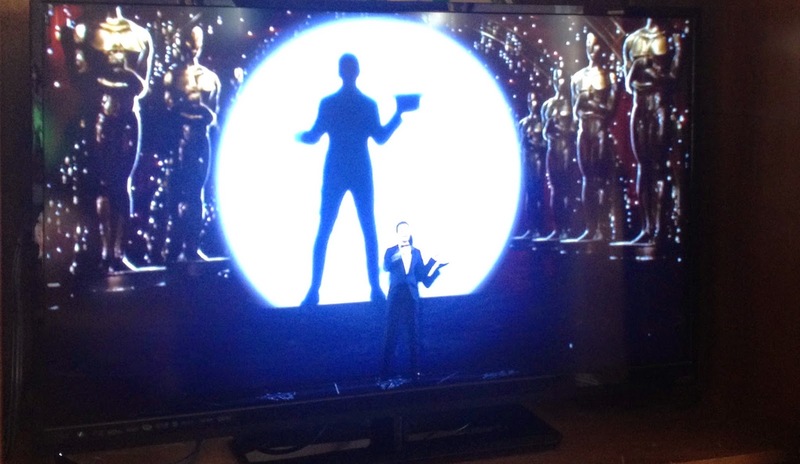 As expected, during his opening monologue, he did his signature song and dance performance. The music had a Disney-like tune to it. It was magical. No wonder. It was written and arranged by Filipino American award winning song writer, Robert Lopez, who wrote the Disney's "Let It Go" song from the movie, "Frozen". The montage of past movies made me feel nostalgic at the films my family and I enjoyed watching over the years. J.K. Simmons, the winner for the Best Actor in a supporting role as a demanding teacher in "Whiplash", in his acceptance speech, urged people to call their moms – not text, but actually pick up the phone. 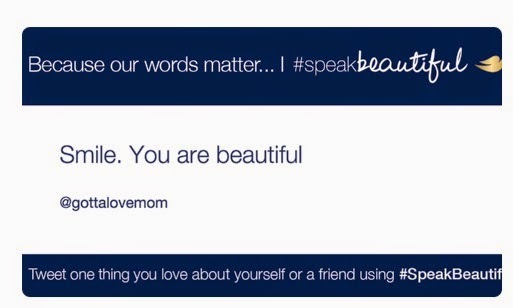 Dove and Twitter and their partners started the #SpeakBeautiful campaign with the hope of initiating positive conversations in the web. In 2014, over 5 million negative tweets were sent by women. So that Sunday, I made a note of all the positive and beautiful reminders that were said at the Academy Awards. - Dana Perry, one of the directors of “Crisis Hotline: Veterans Press 1”, winner of Best Documentary Short, said, “We should talk about suicide out loud”. Perry disclosed that her own son committed suicide at 15. - My heart melted and tears shed when country singer, Tim McGraw, performed a moving tribute as he sang the Oscar nominated song, “I’m Not Gonna Miss You” from the documentary “Glen Campbell: I’ll Be Me”. This was a serendipitous moment for me since I've been writing love notes for my family as a reminder for when I am no longer able to remember who I am and the people I love. - The movie “Ida”, from Polland , won the Best Foreign Language Film. Writer-director Pawel Pawlikowski, brushed aside the time limit as he continued his heartfelt gratitude. “Life is full of surprises”, he said. My husband teased me that I would probably have done the same when "Out of Status" won an Oscar. - Lady Gaga, who resembled more like Barbara Streisand, sang a medley of the songs from the "Sound of Music", which celebrated it's 50th anniversary this year. She belted out every high note and reminded us that she definitely is a very talented singer. - Seeing Ms. Julie Andrews on stage was a special treat. She came to stage to hug Lady Gaga. We shared an elevator with Ms. Andrews in Disney’s Beach Club about 10 years ago. My children and I kept quiet because we didn't want to invade her privacy - and that was before smartphones. She's my family’s favorite actress. We still sing the songs she sang at “Sound of Music” and "Mary Poppins “. With my own three sons who are passionate about music, I agree when she said, “Great music does more than enhance a film, it cements our memories in the film going experience.” (The Best Original Score went to Alexander Desplat for “The Grand Budapest Hotel”). - Mexican filmmaker, Alejandro Gonzalez Inarritu, the director of "Birdman" won for Best Director and Best Picture. 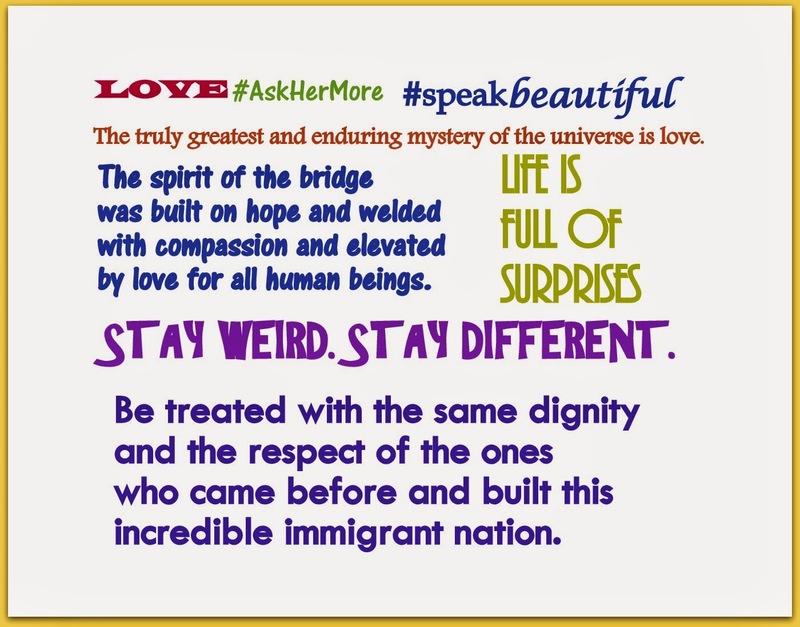 He delivered a timely speech that have resonated with immigrants. Interesting fact: The movie industry earned $600M last year. Amazingly, $400M was from one movie, "The American Sniper", which was nominated for six awards but only won one - the Best Sound Editing category. For a complete list winners of the 87th Academy Awards, click HERE.